"I was blown away at how much work I got done in a few short hours. The simple shift in perspective on myself and my world has changed my outlook dramatically. I recommend this workshop for anyone looking to start or continue their journey in emotional intelligence, self-love/care, changing the world, and leadership." "Flawsome is an empowering and forwarding reminder that my greatness lives in loving and embracing ALL of me, not just the parts I want others to see but all the parts that make me the magical and unique being and leader that I am! Rebecca's powerful facilitation in having us fall in love with ourselves is one-of-kind! Authentic and humble leaders our world craves are nourished in the space she creates!" - Completely re-envision how I look at myself and my flaws. - No longer view my flaws as something that holds me back but rather as opportunities for growth, self-love, and self-acceptance. - Love myself in a more intimate way than ever before"
"I felt so safe in the space Rebecca created as the facilitator of this workshop. I was able to explore ideas about my worth that I hadn't realized previously, and I loved what I learned about myself. 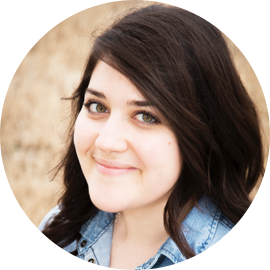 Rebecca is an incredible facilitator with a huge heart."